There are many attempts made by leftist liberals, Ambedkarites, evangelists etc to paint Dalits and lower castes as non-Hindus, as they were not given any right or respect in the society. Many claim that it was only after the rise of Dr. Ambedkar that Dalits throughout the country were given due rights in the society. They also claim that the lower caste people (Dalits) were not allowed in temples till the “Temple entry proclamation” came into being by the efforts of Mahatma Gandhi. But how is that the lower caste people didn’t oppose the practices of oppression for centuries? Why didn’t they claim their rights to enter the temples and worship the Gods, pursue education etc, till the rise of Ambedkar and Gandhi? So let us study the case of Dalits in historical Kerala, the land which was successful in maintaining its Dharmic traditions as it was less affected culturally by Islamic invasions till the 18th century. Back in those days, each Hindu Jati (caste/tribe or community) whether Brahmin or outcastes (Avarnas) practiced their own local rites. “The Paraiyars of Malabar and Cochin are celebrated for their knowledge of Mantravada and are consulted in matters relating to theft, demoniacal influence, and the killing of enemies. Whenever anything is stolen, the Paraiya magician is consulted. Giving hopes of the recovery of the stolen article, he receives from his client some paddy (rice) and a few panams (money), with which he purchases plantain fruits, a cocoanut or two, toddy, camphor, frankincense, and rice flour. After bathing, he offers these to his favourite deity Parakutti, who is represented by a stone placed in front of his hut. Rattling an iron instrument, and singing till his voice almost fails, he invokes the god. If the lost property does not turn up, he resorts to a more indignant and abusive form of invocation. If the thief has to be caught, his prayers are redoubled, and he becomes possessed, and blood passes out of his nose and mouth. When a person is ill, or under the influence of a demon, an astrologer and a magician named by the former are consulted. The magician, taking a cadjan (palm) leaf or copper or silver sheet, draws thereon cabalistic figures, and utters a mantram (prayer). Rolling up the leaf or sheet, he ties it to a thread, and it is worn round the neck in the case of a woman, and round the loins in the case of a man. Sometimes the magician, taking a thread, makes several knots in it, while reciting a mantram. So clearly, the Parayars despite being one of the lowest caste of Hindus, worshipped mainstream ‘Brahmanical’ Hindu deities with their traditional rites and utilized chants like Svaha, made in Vedic Yajnas while offering to Agni or sacred fire, contradicting the claim of them not allowed to pursue education which existed as the right of upper caste people. There are even records on certain instances where Parayans wore the sacred thread worn by upper castes. Even Brahmins sometimes consulted Paraya priests as the book says. A better understanding of the social status of Parayars can be obtained from the fact that Pulayars (another lower ranking peasent caste of southern Bharat) used to excommunicate their women if they married Parayan men. So this means that there existed discrimination even among the lower castes and Parayars were from the lowest strata of castes, but yet they were devout Hindus. So the elements from the Hindu Sanskrit epics were popular among lower castes just like it was among upper castes once again contradicting the popular claim of liberals that Sanskrit was taught only to upper caste people. It is true that the lower castes were not allowed to enter the temples owned by upper castes. But they practiced their traditional rites on their own and worshipped their gods in their own temples, without being bothered about the temples owned by the upper castes. Neither did the upper castes interfere with their traditional rites or the practices of their temples. 16th century Portuguese traveller Duarte Barbosa stated that lower castes like the Thiyyas of Malabar had their own temples and they were protected and cherished by upper caste Nair lords. Temples like Parassinikkadau Muthappan temple had non-Brahmanical rites performed since time immemorial contradicting the popular claim of the liberals that it was they who fought for the appointment of non-Brahmins as Pujaris in temples. Theyyam rites dedicated to folk heroes and popular Hindu deities were also performed by all, regardless of castes. 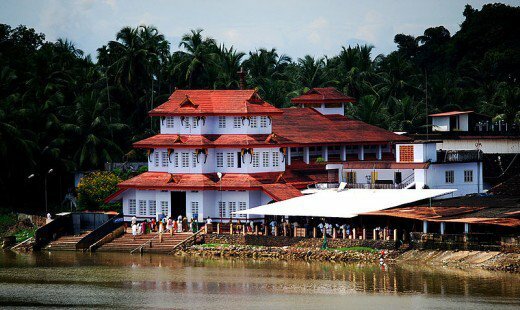 Also, during early 20th century temple entry movement in Kerala, many upper castes like Kurur Nilakantan Namboothiri, K. Kelappan etc also came forward to abolish untouchability and allow temple entry for the lower castes as the cultural practices of the lower caste people were affected by the socio- cultural attack on the society inflicted by the Islamic invasions and colonisation. This shows the falsity of the liberal claim that upper caste were forced to open their temple after the temple entry proclamation was forced by the Congress. Hence this shows that divides in the Hindu society were more about diversity than discrimination unlike the claim of liberals. Today, it is the duty of all Hindus regardless of his/her caste to come forward to defend Hindu Dharma against anti-Hindu elements.